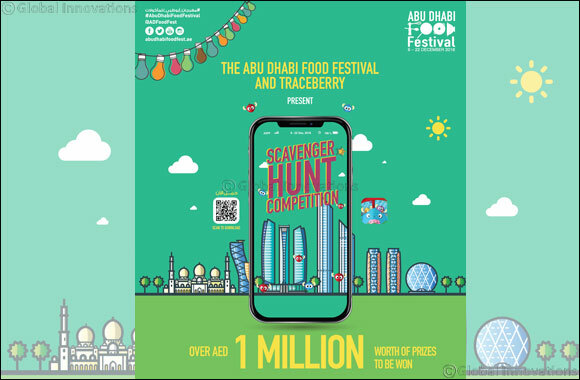 Abu Dhabi, 29 December, 2018: Abu Dhabi Food Festival (ADFF), organised by the Department of Culture and Tourism - Abu Dhabi (DCT Abu Dhabi), today announced Sadaf Naz as the winner of the citywide ADFF Scavenger Hunt Competition through its social media channels. Played through the Traceberry App, an exclusive augmented reality scavenger game, participants were tasked with chasing and catching “quiz berries” around the nation’s capital during the fortnight of ADFF. With prizes up for grabs, such as mall vouchers, fine dining opportunities and electronic goods including MacBook Pros and Galaxy Notes, the competition was always going to be fierce – particularly as the prizes were worth more than AED 1,000,000 in total. Users of Traceberry do not need to delete the app but can continue to use it on offers going forward into the New Year. Abu Dhabi Food Festival, which concluded on Saturday 22nd December, attracted thousands of residents and visitors alike to the emirate to enjoy flavourful cuisines from some of the world’s best chefs, as well as world-class food-related experiences. The event helped confirm Abu Dhabi’s position as an international hub for culinary inspiration.